Since Edublogs began back in 2005, the definition of blogging has expanded greatly. Nowadays, a blog is simply a blank canvas that can be brought to life in a way that suits you, your students, and your school community. Edublogs and CampusPress are built from WordPress. This popular content management system was once just for blogs, but is now behind all sorts of websites. In fact, WordPress now powers 30% of sites on the whole web! 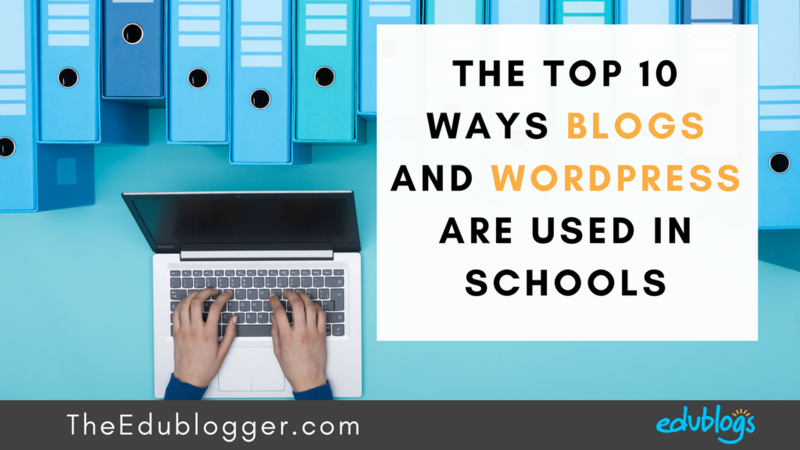 Wondering how blogs and other WordPress sites are used in schools? Here’s a rundown of ten of the most common ways blogs are used by teachers and students, along with some examples. We’d also love you to share your own examples in a comment. Many schools and districts host their entire website on WordPress. 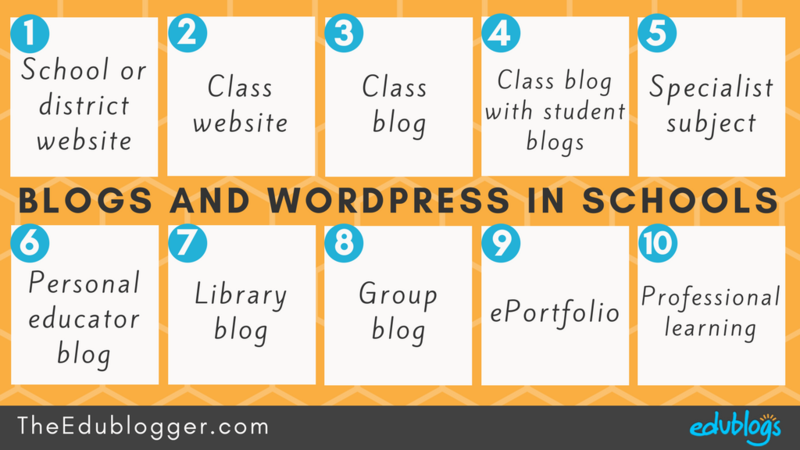 Often, these are WordPress Multisite networks, where members of the school community can set up blogs for their own department, project, or personal portfolio. The Round Rock Independent School District in Texas, USA, has an impressive collection of school websites, hosted by CampusPress (our WordPress Multisite network). For ease of use and consistency, Round Rock have a set-up where all their school websites are a similar design, yet are customized to reflect the individuality of each school. One example of this format from the Round Rock District is Chisholm Trail Middle School. This school website has lots of information to keep students and families up to date. St Stephen’s School in Western Australia also hosts their blog network on CampusPress. This Uniting Church of Australia school has a wide range of blogs from all parts of their school communities. A performing arts blog to accompany the rehearsals of Grease the musical. A resource blog for Hywel Jakeway‘s year 12 English class. A blog to document a service tour of South Africa. A blog for families about the BYOD program at the school. A blog to support a Christmas fundraiser for African children. A secondary school blog with regular newsletter style updates. It’s well worth taking the time to check out some of these fabulous St Stephen’s School blogs! Sometimes a school website can be set up with more of a community blog feel. There are regular updates showing what the students are up to, as well as important announcements for families. Craigburn Connections from South Australia is an example of this style. They have their own CampusPress network set up, so their school website also links to class blogs. Another example is Togher National School in County Cork, Ireland. Their Edublogs site puts students in the spotlight, while also offering essential information for families. German Island is a good example of how a blog is used as a class website. Roslyn Green and her colleagues have set this site up with a page devoted to each topic or unit. The website houses PDF booklets, essential links, online activities, audio clips etc. You can read more about the way Roslyn uses blogs in different ways with her high school students in this post. Mr. Cartlidge runs this blog for his high school science classes to house resources related to their units of work. There are separate pages and sub pages for different topics and year levels. Class blogs are used in a wide range of different ways. Two of the more popular approaches are administrative and showcase styles. Administrative: Some teachers use their class blogs to post daily tasks, learning resources, due dates etc. Teachers do this to keep students and parents up-to-date, provide information for students who are absent, and to provide revision resources. Showcase: At other times, a class blog is set up more to represent the class community to a local and/or global audience. There might be a whole range of media included to demonstrate what students are up to and a lot of “student voice” in the posts. The commenting sections are generally used more frequently to extend learning and connections through conversation. Often, class blogs are a hybrid of the two approaches. The posts contain a running order of tasks for students, complete with links and resources. This blog is updated for each class which offers the added benefit of support to students who were absent or require revision. This is a good example of a class blog that includes student voice and interactions (through comments and tools like Padlet). It also showcases the wonderful work happening in the classroom and has a strong focus on global collaboration. Mrs. Amri’s Second Grade Crew is based in Oregon, USA and uses a WordPress blog. Lots of teachers use class blogs for global collaboration, authentic learning, reflective blogging, collaboration, and discussion. When used for these purposes, it’s common for the students’ to have their own individual student blogs. Teachers often find that when students are asked to write for an audience outside of their class, they are more motivated, learn more, and they write better than if they only wrote for their teacher. Becky Versteeg in Ontario, Canada has a class blog called Team 2 Eagles. Her 6 and 7 year old students also have their own blogs. They blog on their iPads using the Edublogs website. The class blog is updated most days with an overview of what has happened in class. There is a lot of “student voice” on the class blog and also on their individual student blogs. This class blog is part of their district’s CampusPress platform. The student blogs are set up using our My Class feature. You can read more about the way Becky blogs with her young students in our interview with her. This blog is for art and media students at a high school in Rochester, New York. The class blog contains tutorials and instructions, and there is a page that links to all the student blogs. The students use their blogs to document their learning process and showcase their creations. Rebecca Cauchon teaches high school photography at a school in California, USA. The main blog is often used to showcase students’ work, while student blogs (which are linked using My Class) are more detailed portfolios. Find out more about the different ways student blogs and digital portfolios are used in our post from October 2017. Want to learn more about setting up student blogs? Check out 5 steps for creating and managing student blogs. For more handy tips and tutorials, also check out our blogging with class and student series. It’s also common for educators who teach specialist subject areas for a range of grades to use one blog for all classes. Technology @ Cottage uses a blog to post instructions for what the K-5 students have to do during their weekly session at the technology center. Students just need to click on their teacher’s name in the right sidebar to find the instructions for their class. Many teachers of the arts also set up blogs to showcase student work. All those wonderful creations need an authentic audience! Share information and tips with other educators. Collaborate with a global audience. Increased collaboration with others leads to greater innovation and new perspectives. Reflect on their learning or their teaching/work practices. Learn how to blog themselves so they can use blogs effectively with their students. I began my own personal blog Primary Tech in 2008 as a way to share what I was learning about technology integration with others. It has evolved since then, as many blogs do, but the same premise remains. Larry Ferlazzo’s Websites of the day is a well known example of a personal educator blog. Larry writes multiple posts a day to keep thousands of educators worldwide up to date with what’s new in edtech, ELL/ESL/EFL, technology, and education in general. His “list” series are a go-to for many educators looking for resources on all sorts of topics. Cathy Hunt is a practicing art teacher in Queensland, Australia. Her WordPress site is called iPad Art Room. Cathy presents professional development on iPads in the art classroom and her website complements this role. She writes blog posts to provide detailed how-tos and inspiration for other teachers, as well as using her site to house ebooks and resource collections. George Couros’ popular blog is based on reflection and sharing. George’s blog posts are always shared very widely, demonstrating that documenting your thoughts can not only provide personal benefits but influence others as well. Check out our personal blogging series to get started with your own blog! School libraries and resource centers use blogs in a range of ways. Here are two excellent examples from Edublogs users. Gwyneth Jones, aka The Daring Librarian, has been blogging since 2006. She is well known in the global education community. She uses her middle school blog to provide library news for teachers, students, and parents both locally and globally. Gwyneth also shares her lessons and resources on her professional blog which complements the library blog. 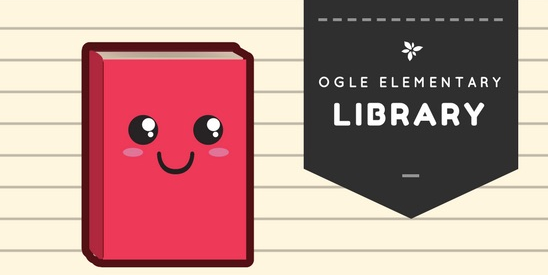 Amy Kincaid is a Teacher Librarian from Texas who runs the very comprehensive Ogle Elementary Library blog. Amy is a very innovative and future orientated librarian who also enjoys sharing her knowledge with others. She regularly posts about the wonderful learning activities her K-5 students are working on. Technology is integrated into her lessons in a very creative way. Take a look! This style of blog can be as simple as students, classes, or teachers collaborating on a group blog. Or, they might involve collaborators from different schools, perhaps working on global projects. This project runs twice yearly in March and October. It is made up of a series of ten weekly tasks all designed to improve blogging and commenting skills while connecting students with a global audience. Check out this interview with Student Blogging Challenge founder, Sue Wyatt, for more information about the challenge. Sometimes schools run a blogging club or group. One example is Chickering Reporters. This is a group of 4th and 5th grade students from Dover, Massachusetts. They work as a group on blogging rather than taking part in instrumental music practice. The students write blog posts and create podcasts, videos, and multimedia presentations about school activities and events. Sometimes a whole year level collaborates on one blog. An example of this is Aitken Creek Primary School where there are nine year 2 classes. They have a joint blog where the various classes post their reflections, reminders, and student work. This blog uses categories to organize the posts. Parents can click on the category on the right hand side to find the posts that are relevant to their child’s class. We’re seeing increasing numbers of educators use blogs for their own digital portfolio, or for their students’ digital portfolios. This style of student blog is used to showcase work and share learning throughout a student’s school life. The educator’s personal ePortfolios may be used to document their skills against professional standards. Jarrod Lamshed set up his blog as an ePortfolio that documents skills based on the Australian Professional Standards for Teachers (AITSL). He is currently using this blog to cross post some of his writing on his school and staff blogs. 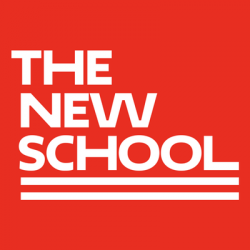 The New School is a New York university that has a strong history of using ePortfolios. Yu-Liang Shih is an arts student who has been using his ePortfolio for a number of years. He uses it for self reflection as well as showcasing the process and product of his work. Yokohama International School also weaves ePortfolios into the curriculum at the middle school and high school levels. Take a look at The Learning Hub to see some current examples of students’ posts. And finally, there are the professional learning blogs. These are the blogs set up to support educators use technology in their school, district, or community, while also modeling how blogs can be used. This blog is an example of a professional learning blog. It’s a place where you can take part in self-paced courses. Global2 is the CampusPress network that’s available to all government and Catholic schools in Victoria, Australia. The Global2 blog is a starting point for creating a blog and also a place to learn about digital technologies. You can read more about Global2 and find some more great examples in this post. Hopefully, these examples have given you some ideas of what blogging could look like in your school community. This list is far from exhaustive. The purpose and format of your blog is only limited by your imagination. If you’re inspired to start a blog or website but don’t know where to begin, we have lots of resources to help. Check out Blogging For Complete Beginners: Getting Started With Edublogs. This guide includes a 15 minutes quick start video. Let us know in the comments below if you have any questions. We’d also love you to share any other good examples that demonstrate how blogs and WordPress are used in schools. As we can no longer use paper for “newspapers” at my middle school, I am looking for a way to have a continually updated site that I can add daily information to in a clean, visually appealing way. I might want to add a video of the cheerleaders, or the spelling bee, or an article on what teachers are reading for enjoyment, maybe the scores of the competitions we are taking part in. What kind of digital format would I use for that? Would you like to set up a blog for your site? It sounds like it might be the perfect way to share videos, articles, results etc as you mentioned. If you want to find out how to get started, check out our Blogging 101 page. Retired teacher and former edublogger here. I got an email to reset a password this morning, YEARS later. Being wary and cautious, I’d like to completely and totally be disconnected. Can you do this for me, please? We’d be happy to help. Are you able to send an email to [email protected] with your blog URL or the email address you used to sign up for the blog? Thanks for the post. I have done an analysis in Spanish of the use of blogs in my school and I have published it in http://bit.ly/2JZ53gb with reference to Edublogs. I also put the examples where we do not use them to improve. Hi Mariano, thanks for sharing these examples. It’s always interesting to see how blogs are used throughout the world. I started a blog in 1999 picking up from the diary I had kept until 7 years previously from age 13 to 31. Digital has meant breaking my musings and forts into different threads and then back again. A few remain indispensable if for not better reason than a reliable depository of what I stumble across, or have been learning. One entire blog covers the duration of an MA in Open and Distance Education with the OU. Multiple reasons were given to academics to blog while working at The OU. And once again I find myself enthusing to tutors and academics alike about the personal and public, individual or shared values of the blog.